Picsir is an image scanner and gallery generator. 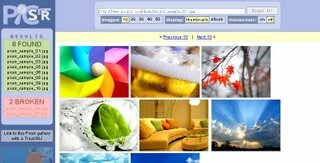 It looks for images based on an image link that you provide above. It works by incrementing numbers in the original file name in attempt to find and display more images that might follow a similiar pattern.